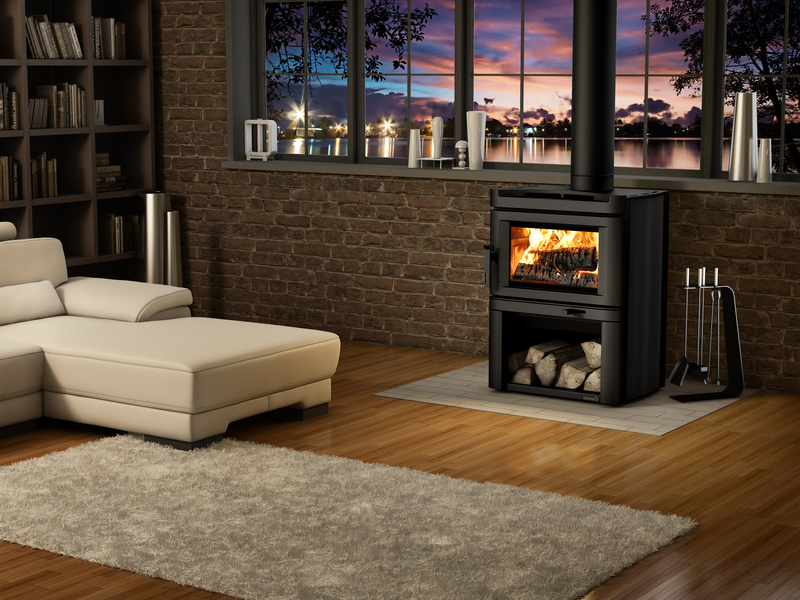 The smooth shapes of the cast iron combined with the contemporary style of the Destination 2.3 make this stove the perfect choice to align style and heating power. The decorative side shields, which can be offered with a stainless steel finish, remind us of the contradiction offered by wood heating: a modern and efficient energy, witness of our evolution through the Ages. Logs can be easily placed underneath the large firebox, making the Destination 2.3 a convenient and elegant heating appliance. Dedicated users will appreciate the standard blower to further harness the exceptional convection power offered by this stove.